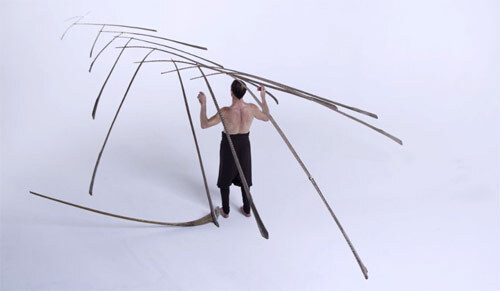 Mädir Eugster’s incredible feather balancing performance! This is one of the most spectacular things I’ve ever seen, I was holding my breath the entire time! W-O-W. Artist Mädir Eugster creates an enormous sculpture all balancing on a single feather. I was convinced this had to be fake until I read that Eugster performs with the Rigolo Swiss Nouveau Cirque and found an incredible 15-min performance on Youtube.